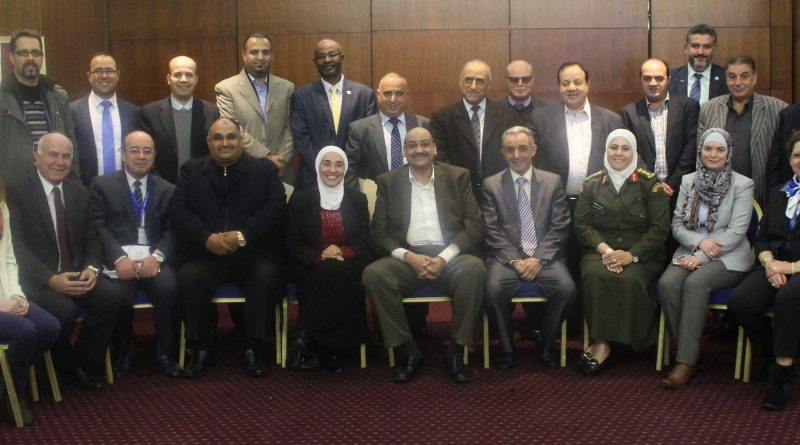 On December 1, 2016, EMPHNET organized a meeting for the Jordanian partners and stakeholders of the Mediterranean Public Health Alliance (MED-HEALTH) in Amman, Jordan. The meeting was attended by representatives of the Erasmus+ Jordan Country Office – the EU program for education, training, youth and sports; the Jordanian Ministries of Health and Higher Education and Scientific Research; the Royal Medical Services; the Jordanian Private Hospitals Associates; the Jordanian Nursing Council; the University of Jordan; Zarqa University; and Mutah University. 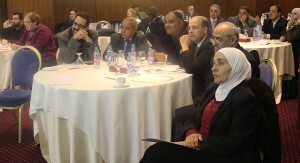 To ensure the engagement and support of key stakeholders in Jordan, this meeting was organized to raise awareness of the MED-HEALTH project’s objectives, activities, and expected outcomes. MED-HEALTH is a project conducted by thirteen universities and non-governmental organizations from Belgium, Jordan, Palestine, Spain, Tunisia, and the United Kingdom. 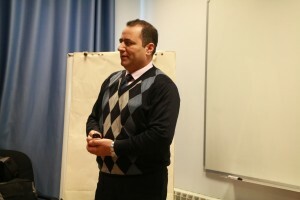 The goal of MED-HEALTH is to enhance the competencies of Higher Education Institutions (HEIs) in countries of the South Mediterranean in the field of public health, which consequently improves public health practice, develops employment opportunities, and meets the region’s health and socio-economic challenges. EMPHNET, Mutah University, and Zarqa University are the Jordanian members of the project’s consortium. During the meeting, the Erasmus+ representative provided an overview of the Erasmus+ program. This was followed by a presentation on the Ministry of Health’s public health education program and the challenges faced by the public health sector in ensuring a competent public health workforce. 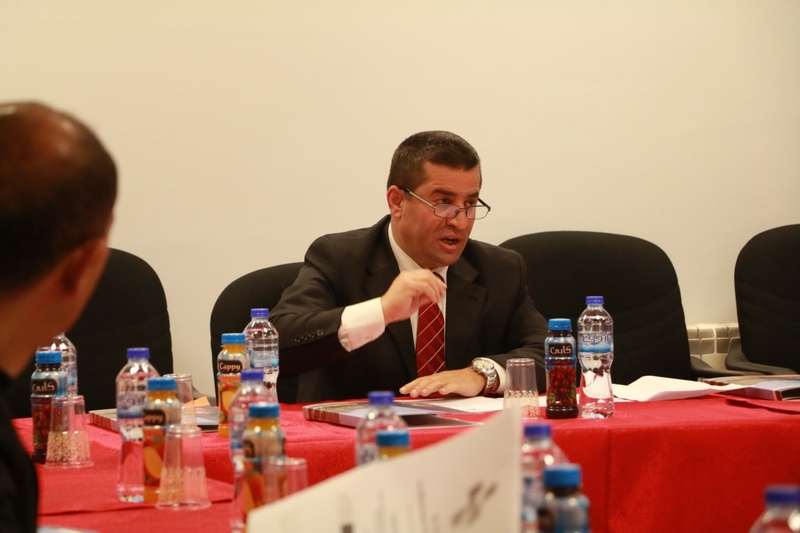 The Zarqa University representative briefed attendees on the three objectives of MED-HEALTH: introducing a Master Degree Program in Public Health Management; establishing a web portal on Public Health Management in the Mediterranean partner HEIs; and creating a Regional Health Management Network. A detailed presentation was given by the representative of Mutah University on the components of its own MED-HEALTH Master Degree Program. In an open discussion, partners and stakeholders focused on promoting the MED-HEALTH Master’s Degree Program in Public Health Management and probing the existing attitudes towards public health education from the perspective of stakeholders in Jordan. The discussions allowed for a better understanding of the existing needs, opportunities, and challenges of implementing the Master’s Degree program in Jordan. The discussions also addressed means on how the program can attract students, be consistent across all universities, and ultimately support improving public health performance, employment and development perspectives. The meeting provided an important opportunity to initiate the integration of efforts among the higher education and public health stakeholders, concluding with a set of recommendations to support implementation of the Master Degree Program in Public Health Management.